Stay on top of every opportunity using the pipeline management features built into every deal. View opportunities by type, group or any searchable field. Track the value of your deals, projected close date, sales stage and more. 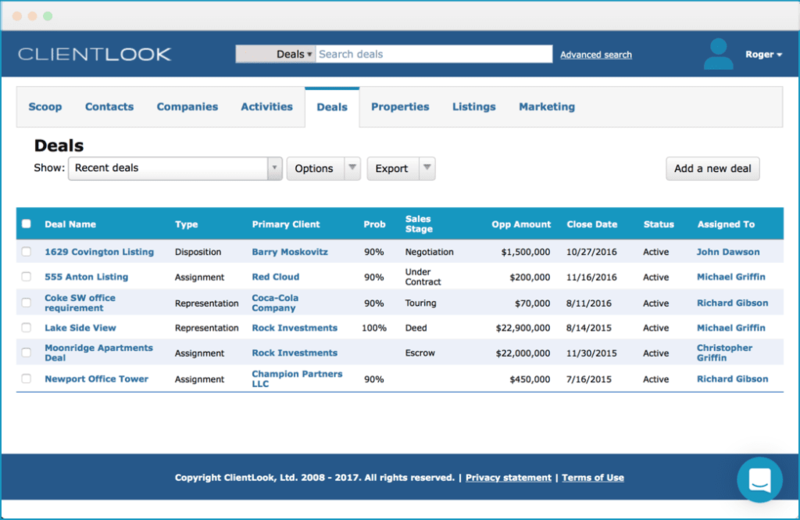 You can even share opportunities across ClientLook accounts when you’re co-brokering a commercial real estate opportunity. Closed deals stay archived forever to allow for future analysis.